Bow legs are common in the new born and up to two years of age. Note the gradual transition from bowlegs to knock knees as the child matures. Inter-condylar distance and Inter-malleolar distance are commonly used to monitor progress of bowlegs and knock knees. However, these rough measurements have now been replaced by scanograms for planning treatment. 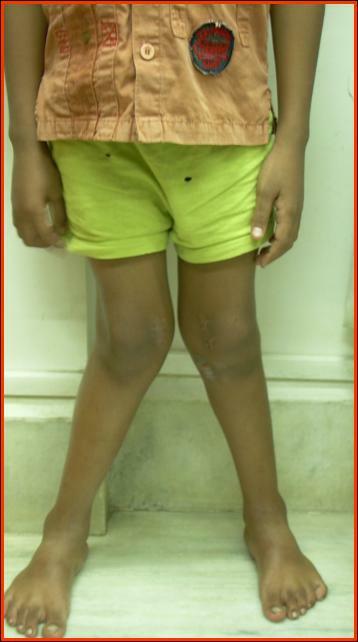 Nine-year-old boy with progressive genu valgum. He was treated with growth modulation plate. 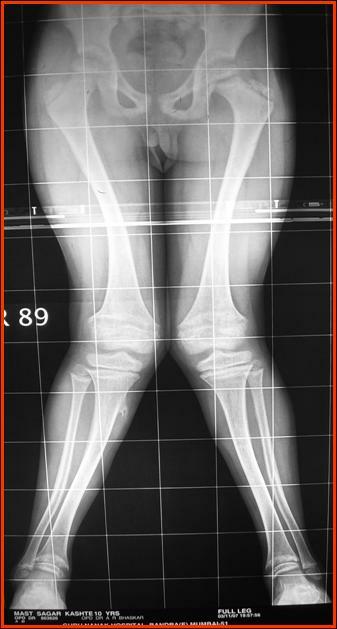 Note the correction of deformity after one year.